Hiatal Hernia - Driving me crazy. Lots of Nausea, Very Uncomfortable but don't want surgery. Bruxism - Also have tmj and have ground my teeth and pitted them terribly. Scleroderma - Autoimmune causing excess collegan build up on organs, throat, skin, etc. Can be terminal. Rheumatoid joint problems included with diagnosis. Raynauds Syndrome and Sjogrens (dry mouth) - Both a part of having Scleroderma. Thank you for contacting Healing Crystal with your crystal healing question. I am very sorry to see how much suffering you are enduring. Before I go further, let me first give the standard disclaimer that I am not a medical professional and cannot diagnose disease nor prescribe treatments. Crystals are meant to be a complimentary therapy used along with the treatments prescribed by your licensed medical professional. My recommendations are based my experiences as well as the experiences of others who have used crystals for healing throughout history. Additionally, I channel my recommendations from Archangels and Ascended Masters. For your Bruxus and TMJ, I recommend wearing Amethyst as a necklace or earrings by day and sleeping with Blue Lace Agate under your pillow or very close to the head of your bead at night. Both are very soothing crystals and work with the chakras in the head and neck, respectively. For the Scleroderma, I think making crystal-energized water may help. 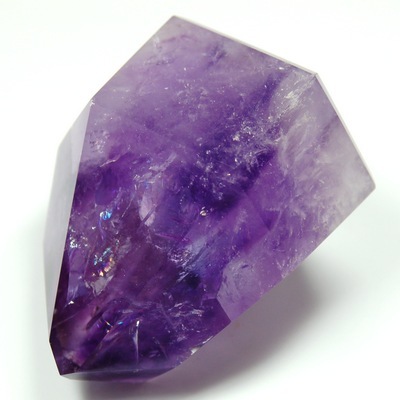 Here is a link to some articles on making crystal-energized water. I would suggest using Smokey Quartz to charge your drinking water and sipping it throughout the day to detoxify your body. And also, using Green Aventurine-charged water as a rinse for affected areas can help bring soothing energy to it as well. The message I keep getting for you is that finding crystals that will sooth you, physically and emotionally are what will help the most. So what I am going to recommend is that you go to this link to our webpage and notice which crystals pictured there are most soothing to you. Usually, they will be the crystals that are shades greens, blues or purples. Perhaps it will vary for you by day, and that’s why I’m not getting a particular crystal coming to mind to help with this, but I am thinking that Aquamarine and it’s lovely light blue might be a good place to start. For many people simply gazing at the crystal picture as they breath in and out calmly can be a good place to start to receive the crystal energy without having to purchase a lot of crystals. If you find the same few repeatedly getting your attention, those would be the ones to actually purchase. I hope these recommended crystals are able to bring you as much relief as possible. If we can be of any further assistance, please contact us again. I send you light and love in your journey, and Crystal blessings.